“Already” refers to something that is in the present or recent past but not in the future. “Already” is usually used in affirmative ( positive ) sentences and sometimes in questions but not used in negative sentences. 1. “Already” is used to emphasize that something was completed before something else happened. 2. “Already” is also used to show surprise about things that have happened or will have happened earlier than we expected. 3. 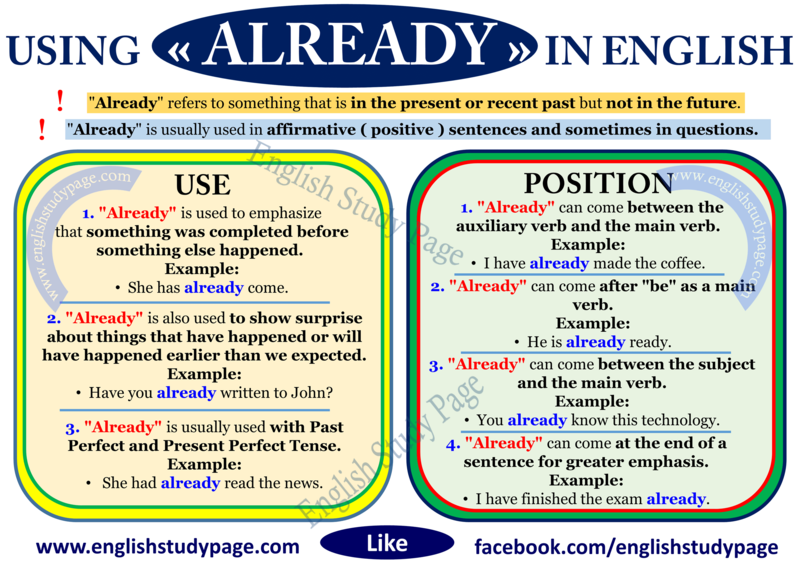 “Already” is usually used with Past Perfect and Present Perfect Tense. 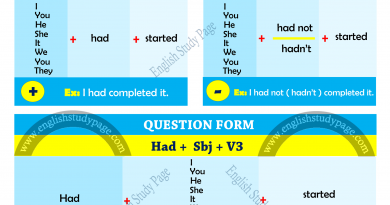 However, we can also use “already” with Simple Present, Present Continuous and Simple Past Tense. She had already read the news. They already left the city. We are already working on it. 1. 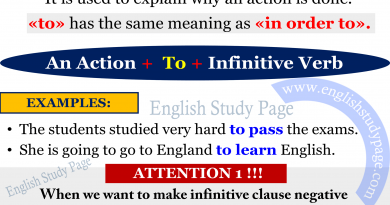 *** between the auxiliary verb ( have/has – had, are, were, can, etc.) and the main verb. He can already read this book. 2. *** after “be” as a main verb. 3. 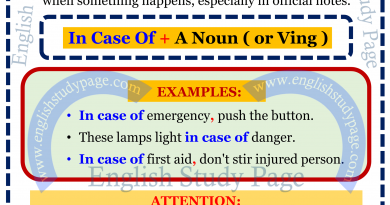 *** between the subject and the main verb. You already know this technology. She already passed the exam. I have finished the exam already. They have called the police already.